Premium quality Die-Cut Laptop Decals/Stickers. Design and customize with online preview. All our decals are machine cut from high quality, self-adhesive vinyl. Add personality to your Macbook or HP Notebook. 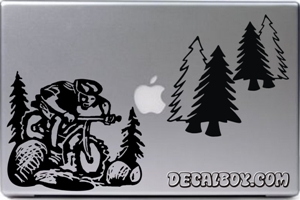 Choose from thousands of decal designs that expresses your interest through pictures. Sometimes people use laptop decals to differentiate from others. Some places where many people have similar laptops, having an individual decal can help distinguish laptops from other peoples laptops easily. Each order comes with application instructions or you can watch our youtube videos. All decals are Removable, but not reusable. E-mail me the image of my Laptop Decal before printing on it for my confirmation.